Salman Khan is soon going to be seen in Bharat that is slated to release on Eid 2019, the film is actually an official Hindi remake of a Korean film Ode To My Father released in 2014. 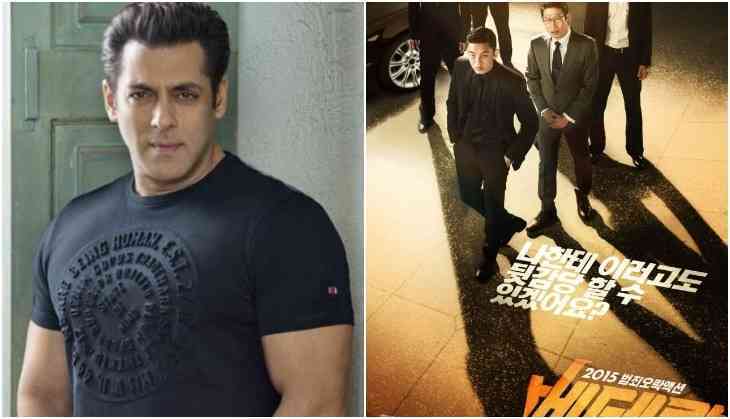 Now today, Salman Khan has confirmed that he is going to do another official remake of a Korean film Veteran. The actor revealed that his brother-in-law Atul Agnihotri has bought the rights of Veteran. "I am doing 'Veteran'. Atul has the rights. It's a nice film. We will do this film after Sanjay Leela Bhansali's film," Salman Khan told in an interview to PTI. Let us tell you that Veteran is a Korean film released in 2015 and it revolves around a detective, who hunts down a young successful man running a crime business. Meanwhile, Salman Khan is soon going to Prabhu Deva for the third installment of Dabangg franchise that will release on Christmas 2019. Then he will jump into Sanjay Leela Bhansali's film Inshallah starring alongside Alia Bhatt. Inshallah marks Bhansali and Salman Khan's collaboration after 13 years of Saawariya. Inshallah to release on Eid 2020 and it will clash with Rohit Shetty's film Sooryanvanshi, starring Akshay Kumar. Also Read - Salman Khan reveals the real reason why he is doing Sanjay Leela Bhansali's Inshallah with Alia Bhatt!